As usual, things may change, so remember all good cavers are flexible! AFTER SUNSET: MOVIES! Really bad Caving Movies! On a 160" Screen! Sanctum, The Cave, maybe a slide show, too! ALL DAY: Check out and sign up for the self-guided and group caving trips, on the Bulletin Board. 11:30 PM: Quiet time, thar be caving to be doin' in the morn! MORNING: Up and at-em'! There will be both self-guided and group caving trips, check the Bulletin Board. ALL DAY: Chilling, Hanging out, CAVING, Photo Salon judging (see "The Rules"). 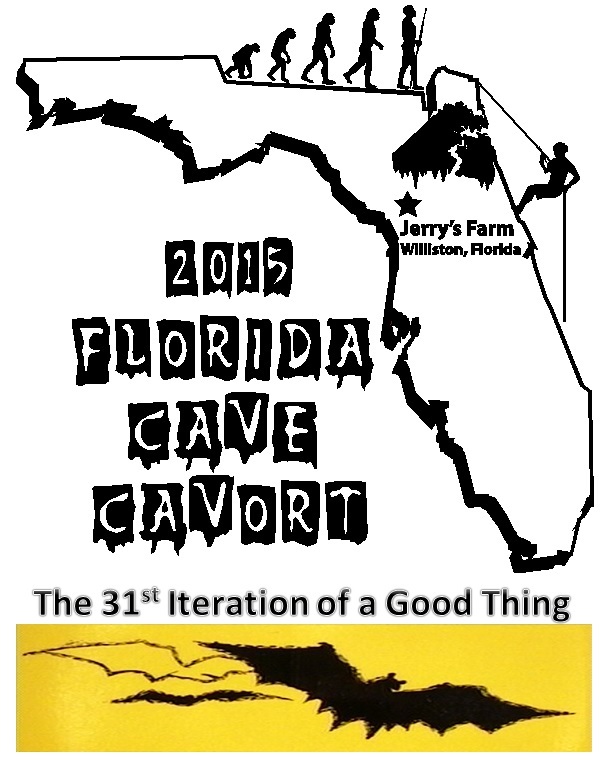 1 PM: CAVE GEOLOGY SEMINAR: Cave Geology presentation by a Real Geologist! With slides and charts and stuff. 12:30 AM: Quiet time, thar be caving 'n' packing to be doin' in the morn! ALL DAY: CAVING AND PACKING. Save a tree? Here is PDF version of the guidebook!